Red-brick mansions, pillared plantation-style facades, wrap-around porches. When it comes to southern states like Tennessee, there are certain architectural features of which we expect to see plenty. The 10 neighborhoods on this list boast myriad examples of the aforementioned features and more. While some are historical and others luxuriously modern, each neighborhood on this list consists of a collection of homes, streets, and parks that appeal to lovers of both architecture and beauty. These neighborhoods are, put simply, the most architecturally charming neighborhoods in the state of Tennessee. Gorgeous Belle Meade is easily the most desirable address in Nashville, and maybe even all of Tennessee. Though architectural styles vary from Tudor, to Classical, to NeoClassical, to Mid-Century Modern, the houses in Belle Meade all have one thing in common: they’re mighty impressive. Belle Meade Boulevard connects the neighborhood’s main entry with the 2,000-acre Percy Warner Park, while Belle Meade Country Club is conveniently situated in the center of the neighborhood. 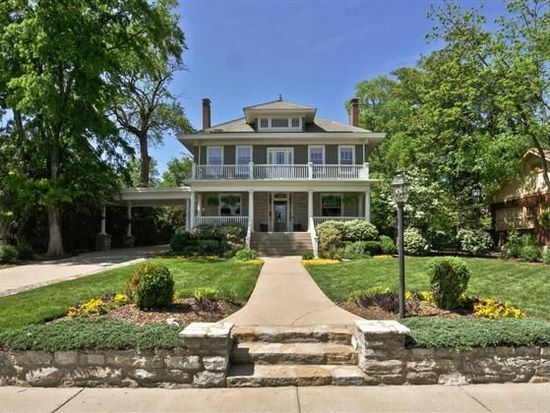 Belle Meade tends to attract old money families, with nothing selling under $1 million. Belmont is a former street car suburb whose stately homes are now some of the most sought-after in Nashville. Though there are a few picture-perfect 1930s cottages, homes here are almost all what would be considered mansions, and the majority are American Four-Square or Tudor in style. Belmont Boulevard, the neighborhood’s main drag, is just as picturesque as the rest of the neighborhood. Bike lanes and boulevard-style sidewalks make it a popular place for a stroll, and the route even hosts the Country Music Marathon every April. Fortwood is an historic district that surrounds much of the campus of University of Tennessee at Chattanooga. Some of the bigger older homes have been repurposed into budget-friendly apartments for the local student population, while others are now architecturally charming inns and B&Bs like the one pictured above. But the real gems of this neighborhood are the turn-of-the century homes, most of which have been lovingly restored to their former glory. Besides students, this well-established neighborhood is beginning to attract more and more young professionals and families. Germantown, which became Nashville’s very first suburb when it was established by a large group of German immigrants, is an historical neighborhood that is making a huge comeback in popularity. The neighborhood consists of mostly Victorian-style buildings, many of which have recently been lovingly restored to their original grandeur. But perhaps most impressive is Germantown’s carefully planned landscape architecture, in which more than 100 species of trees grow in the neighborhood’s green spaces. Germantown has been designated a city Arboretum, and is proudly listed on the National Register of Historic Places. 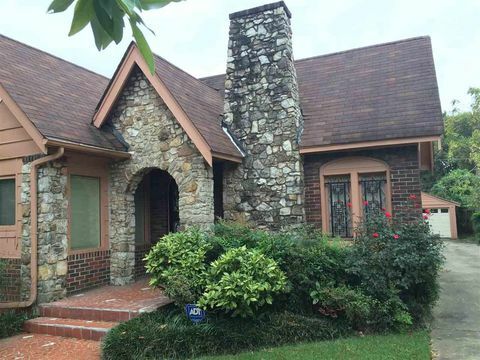 Memphis’s Glenview neighborhood is home to an impressive collection of historic homes built between 1910 and the late 1940s. With development spanning nearly a generation, it’s no wonder that Glenview’s homes display so many varying architecture styles. Bungalow, English Cottage, Four-Square, Colonial, Dutch Colonial, Tudor, and Spanish Revival-style homes fill the neighborhood’s wide tree-lined streets. Various green spaces, an historic church, a community center, and several commercial businesses also call Glenview home. Despite its long architectural history, Glenview is still very much an up-and-coming neighborhood, with houses selling for under $100,000 — a steal, in some cases. It’s not a residential street, but Clarksville, Tennessee’s historic downtown is so architecturally significant, we just had to include it on this list. 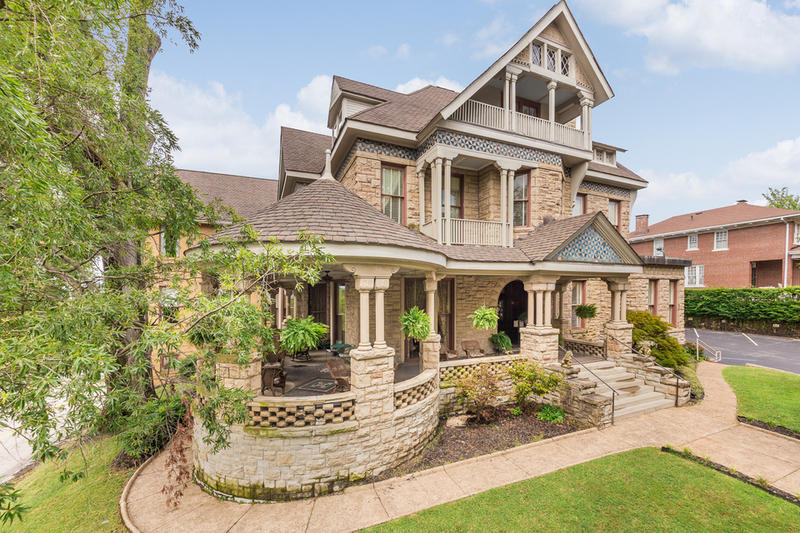 Clarksville’s walkable and inviting downtown is home to an impressive collection of 1870s period architecture. Nearly every building has been lovingly restored and maintained to stay faithful to the original details. Today, the buildings play host to locally owned shops, restaurants, breweries, and live music venues. Especially impressive buildings include the Roxy Regional Theatre and the Customs House Museum. Another downtown we couldn’t bear to leave off the list is historic downtown Franklin. The downtown has become one of the best examples of historical preservation done right, and the town of Franklin has received national recognition for its efforts. There are 16 blocks listed on the National Historic Register, all of which are lined with idyllic examples of Victorian architecture. Today, these buildings house shops, restaurants, art galleries, gift and book stores, and upscale boutiques. To show off its quaint Victorian downtown, Franklin hosts a number of events here throughout the year, including “Bluegrass on the Harpeth,” the Franklin Jazz Festival, and a Dickens of a Christmas celebration, to name but a few. Despite its name, this quaint and charming neighborhood isn’t an island. In 1899, a Knoxville businessman built what he referred to as his “island home” on the property that would later become the neighborhood. Hence, the unique name. Today, the neighborhood is characterized by its wide central boulevard (once used for street cars) and its impressive collection of Craftsman and bungalow-style homes. A park, nature center, and wildlife sanctuary round out the more unique elements of Island Home, which is a popular choice of address for young professionals, young families, and professors at the nearby university. Annexed to the city in 1917, prestigious Sequoyah Hills is one of Knoxville’s oldest neighborhoods. The wide and impeccably manicured Cherokee Boulevard welcomes residents and visitors to the neighborhood, and is a popular place for walking and cycling. The tree-lined streets are contain homes built in styles like Italianate, Colonial Revival, Tudor, Craftsman, and Ranch. Though they vary in size, all of the impressive homes in the Sequoyah Hills do have one thing in common: a hefty price tag. Sequoyah Hills is a desirable area popular among Knoxville’s “old money,” business owners, and professors and administrators from the nearby university.